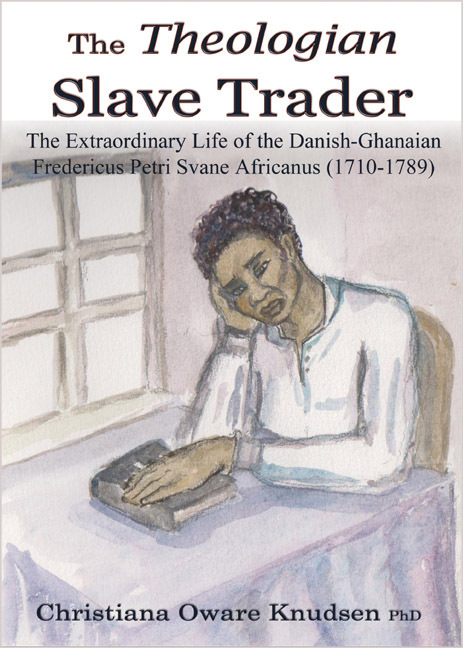 The Theologian Slave Trader explores the life of Fredericus Petersen, a mulatto adopted in 1710 by a Danish Lutheran Priest at Christiansborg Fort in what is now Ghana and who was subsequently brought back to Denmark as a teenager. Dr Christiana Oware Knudsen, brings the autobiography of Fredericus Petersen to life and contemporary relevance with the lively and engaging approach of an African story-teller, interweaving historical facts with family legends and documented impressions of the period. This is Asger, looking forward to read you book!! My book will be out the 4th of October.